Leading a fleet is not an easy thing to do. You are dealing with everything from fleet positioning and situational awareness, to ensuring you have targets and keeping your fleet mates focused. By far the worst (and possibly hardest) part of fleet command is knowing what to do when your fleet dies in a fire, or when to make a timely strategic withdrawal. It may come to pass that while your fleet is roaming, or undertaking the objective you formed the fleet for, that you receive intel of a superior enemy fleet (in number or by composition) approaching your location at speed. As the FC you make the decision, based on your fleet composition, to flee rather than fight. However, your opposition chases you relentlessly, trying their very best to catch you. If in null sec and confident they lack the ability to bridge (jump or titan) ahead of you, then have interdictors drop bubbles on every gate your fleet passes through – this will slow the hunters down considerably. Trust me, once I was leading a ragtag fleet consisting of Navy hulls and we got chased around 30 jumps by a considerably more organised fleet. Using the bubble trick combined with killing their forward tackle helped us get away with minimal losses. If your enemy can use bridges to get ahead of you to try and box you in, you need to play smarter than simply running. Only align yourself, have your fleet approach you as you do so, then warp as soon as you can; never call an align openly (walls have ears!). Utilise tools like dotlan effectively and whenever possible minimise who engages whom. Have frigates focus down interdictors or tackle, while cruisers hit that lone heavy interdictor that is trying to block your way out. Eventually you will get away from a group that is trying to pen you in while they will be spread over multiple systems, considerably thinning their firepower vis a vis your own. When making a strategic withdrawal, you will at some point decide to stand and fight. Your rear scouts could for instance report that the opposition has thinned out, maybe the battleships they have are lagging behind, or their capital support has gone. Form up on a ground of your choosing and let them come in, then following my guide to what to target and when, start the fight. Stay focused, keep your troops on target and you may well emerge victorious. Do not be afraid to engage and focus on smaller, flimsier targets, then withdraw again. In this manner you can keep up a running engagement across many systems until the enemy gives up or overwhelms you. A skirmisher is already off grid at a safe, if so get the survivors to warp to them. Keep the skirmisher moving in a random direction at speed, this is known as a rolling safe. Everytime they get 150km from the survivors they warp to them again. Then you start looking at an evacuation route, or dock up if the system allows it. Survivors get out of any bubbles, or burn out of tackle range as a fighting unit, and then warp to random celestials (NOT THE SUN!) at varying ranges while their aggression drops. You then evacuate them through any safe gates, and get moving towards friendly space. Again using the off-grid skirmisher, you reform your remaining combat vessels and fight way your way out of the system, making sure bubblers and other tackle are primary targets. 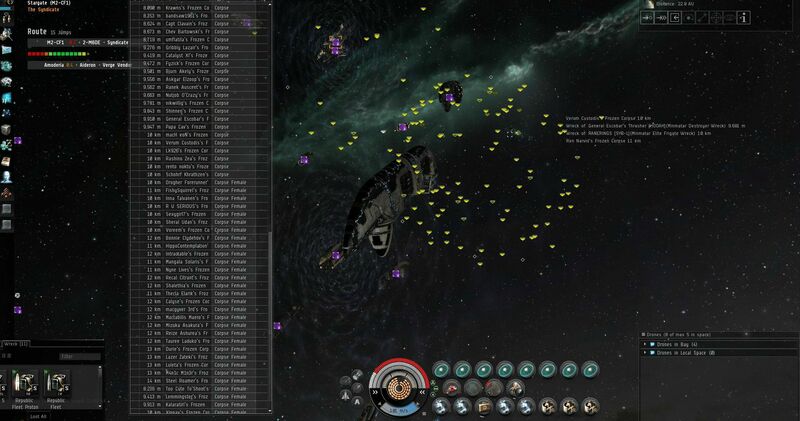 This diversion should allow fleet mates in their pods to get out of system. If you can keep a positive attitude that gets your fleet to reship and go back out into space immediately, then you truly have what it takes to be a great FC.